NETHERLANDS: Vessels contractor Swire Blue Ocean has confirmed that four workers were injured during a "crane related work incident" at the Port of Eemshaven on the Pacific Osprey vessel. The incident took place on early evening on 23 August. According to Swire, the box section of the crane boom on the vessel "collapsed on to the bridge". "One of our crew members sustained a serious injury during the incident. Three other crew suffered minor injuries during the same incident," Swire said in a statement. "The four affected crew received prompt medical attention and were taken to hospital as was one other crew member who was suffering from shock. Three of the five crew have since been discharged from hospital. "One crew member remains in a critical condition in hospital whilst the other crew member is currently in hospital under observation," the firm added. Local news reports indicate a medical emergency helicopter was called to the scene. 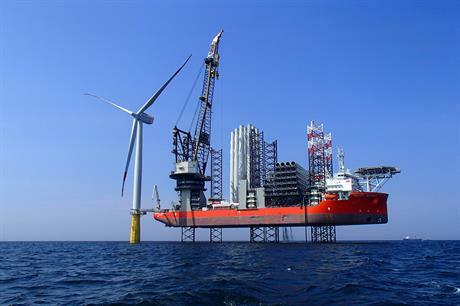 The vessel is reportedly working on EnBW’s 497MW Hohe See offshore wind project in the German North Sea. The vessel itself suffered "material damage". "The crane was undergoing maintenance at the time of the incident and the vessel has suffered significant damage as a result," the vessels supplier said. Mikkel Gleerup, CEO of Swire Blue Ocean, said: "The safety and well-being of our people is always our first priority. All support and resources have been mobilised to assist those affected. We are managing the incident closely and cooperating fully with the local authorities."